Ste. Anne market is the best place to be on Saturdays if you find yourself in West Island, Montreal anytime between 10 am to 2 pm. 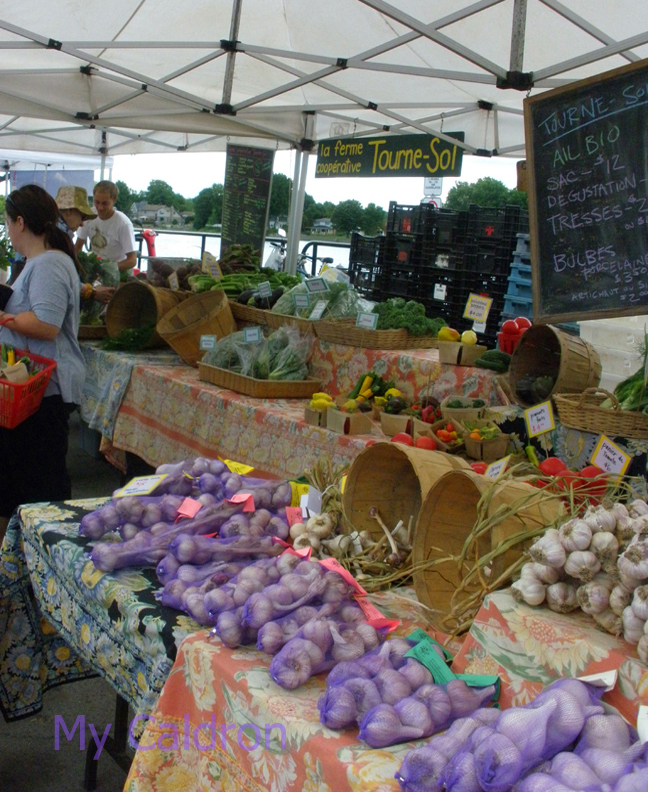 The market is located by the Saint Anne-de-Bellevue Canal, where a row of heavenly-smelling restaurants with their balconies open to the St. Laurent River and the passing boats is always filled with visitors even when there is no market to attend. Thanks for a great photo report. It was also good to see the restaurants getting on board and I love all the garlic shots!